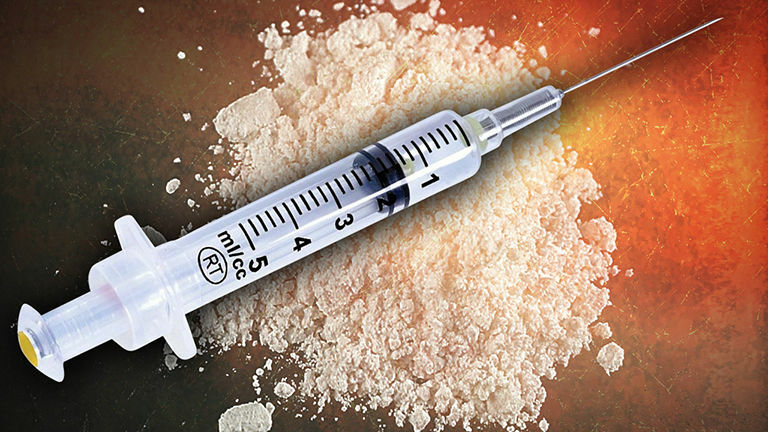 Heroin overdoses surge in Michigan. Authorities are fearful it is due to being spiked with carfentanil, an elephant tranquilizer. In Bay County, Michigan there were five heroin overdoses in October. The number is steadily increasing each month. 11 overdoses were linked to opioids in in November. All of these people were revived by emergency responders. As of December 22, there had already been 13 overdoses, one of which was fatal. Police are very concerned, as there were barely any overdoses in the summer. Between the months of May and August there were just two people treated in hospitals for an overdose. Local officials think that carfentanil is causing the rise in overdoses. It is a very powerful substance, over 10,000 times more powerful than morphine. It hadn’t appeared in neighboring counties until recently and it is spreading rapidly. The United States had its first drop in life expectancy since 1993. The key contributing factor to this was heroin overdoses. Also, deaths from opioids exceeded the total of deaths in automotive accidents in the year 2015. Heroin overdoses account for 63% of all drug overdoses. Also, 2015 was the deadliest year in history for drug overdoses. 52,404 lives were lost as a result of drug overdoses in 2015. This is a serious problem in this country that is only getting worse.